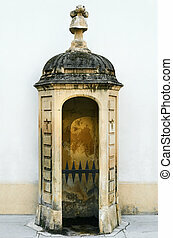 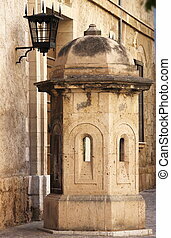 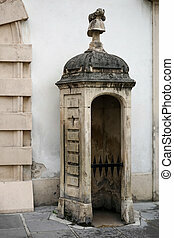 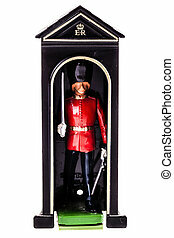 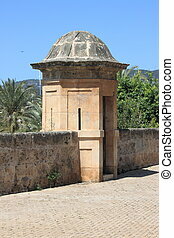 Historic sentry box. 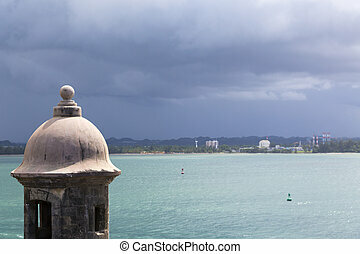 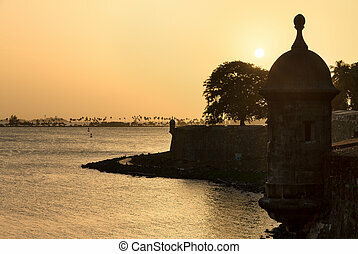 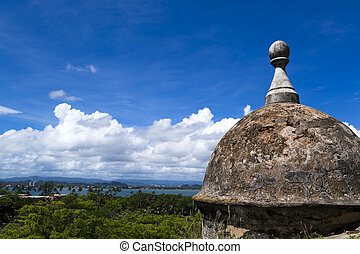 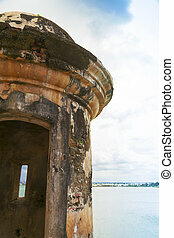 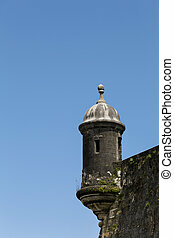 Historic spanish lookout tower by san juan bay in puerto rico. 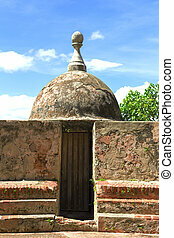 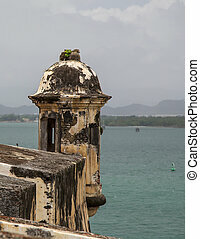 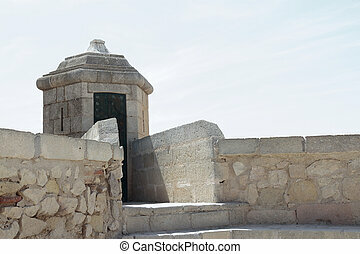 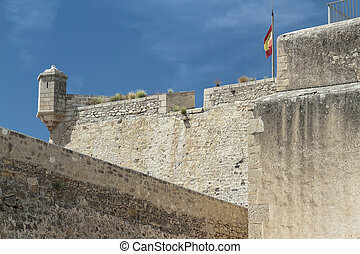 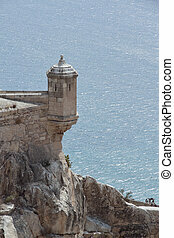 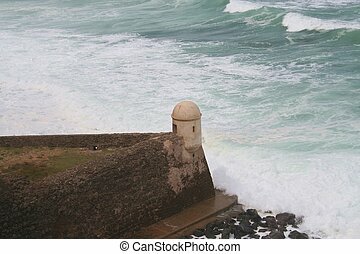 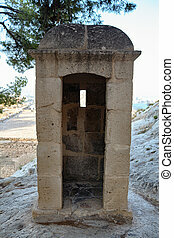 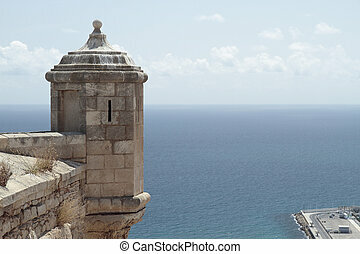 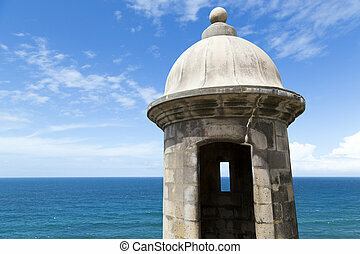 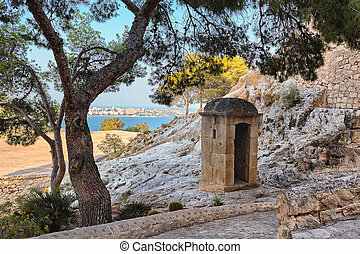 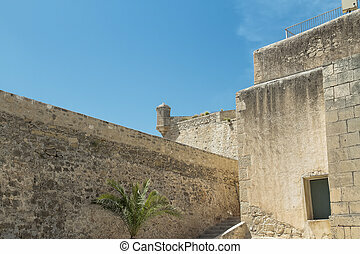 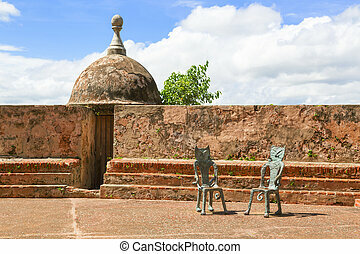 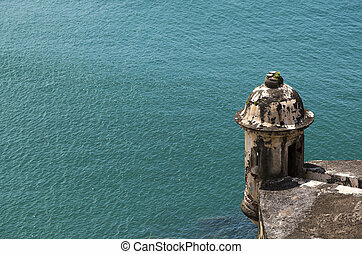 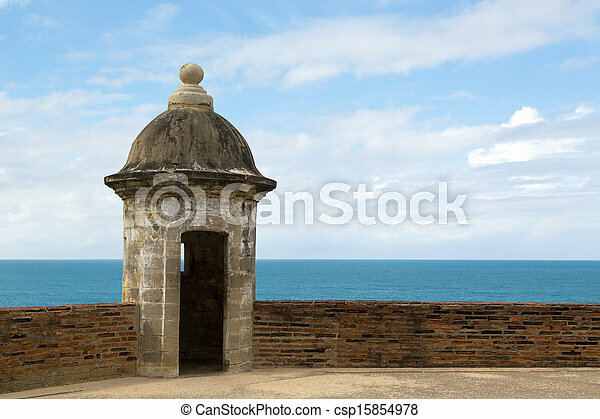 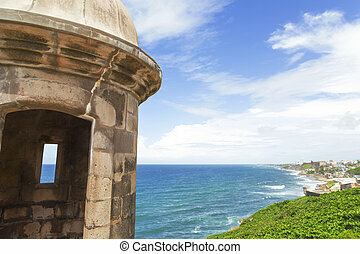 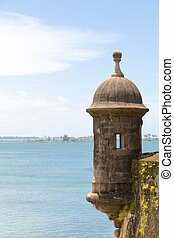 Sentry box lookout, at the El Morro Fort in Old San Juan, Puerto Rico. 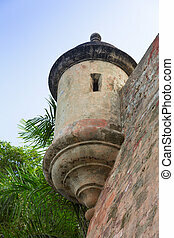 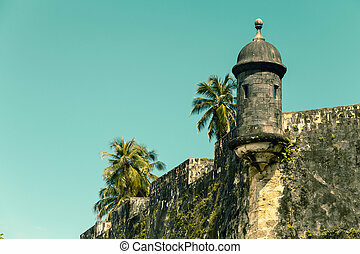 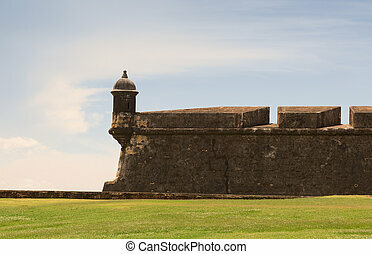 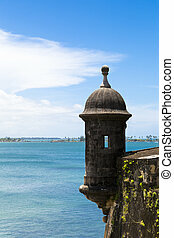 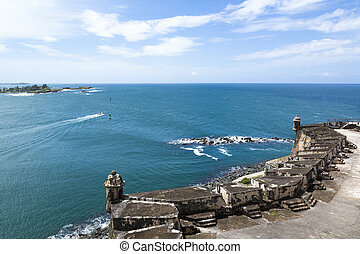 Watchtower down by the shore, called the Devil's Sentry Box, at Castillo San Cristobal in Old San Juan, Puerto Rico, USA.